OM VISA Consultancy - Global Immigration, Students, Visitor, Business & Work VISA Consultants: Study in Hungary with Low Fees And Without IELTS, Pay Tution Fees After Visa. Grab This Opportunity , Enroll With Gujarat's Leading Visa Consultancy "OM INTERNATIONAL"
Study in Hungary with Low Fees And Without IELTS, Pay Tution Fees After Visa. 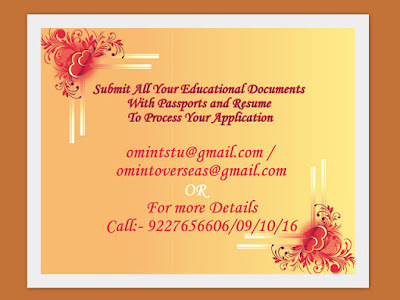 Grab This Opportunity , Enroll With Gujarat's Leading Visa Consultancy "OM INTERNATIONAL"
TAMORIPAL has been operating since 1992. In the beginning there were only 147 students sitting behind the desks on a single campus; today we educate more than 4,000 students in the areas of business administration, communication, tourism, linguistics, humanities, applied social studies, international relations, performance arts, and continuing education. Our university college operates in five different locations throughout the country (including the capital city, Budapest), with an additional campus in Austria. We employ more than 200 highly qualified faculty members making TAMORIPAL the largest non-governmental, non-profit institution of higher education in Hungary. During the last several years we have developed more than 260 partnerships with institutions in 36 countries worldwide. We participate in student-, faculty- and trainee- exchange programmes, and international R&D projects. Within the framework of our International Campus Programme, we welcome international students for full-time, part-time and E-learning studies, organise lifelong training courses, summer university courses and launch academic programmes abroad. Several bachelor's degree programmes offered in English, German and Hungarian languages provide sound knowledge, competitive skills and competencies that can serve as a basis for a successful career. We hope to welcome you among our students soon! ~ Documents sent to college, will receive conditional offer letter. ~ Skype interview with College Authority if interview pass then direct admission in course otherwise 6 month prepartay program fisrt. ~ Then will received unconditional offer letter. ~ Apostle the highest qualification documents. ~ Travel insurance to be done for 30,000 Euro. €200 euro registration fee for acceptance letter. Student Personal Details (Mother Name, Email Address, Mobile No, Home Address). Scan copy of Cheque of Tuition Fee & Hostel Fee Euro Currency 1750 Euro including 3 or depend on course , in the name of University. Bank Statement should be at least 12000 Euro of Personal or Blood Relation. It should be maximum old period like 1,2,3-6 months old. you will transfer 6 months Tuition Fee & Hostel Fee, 1750 Euro fees and 100 euro accommodation After Getting Visa.